In the first part of my review of 2015, I had a look at my personal chess highlights of the year. It was a very rich year in terms of chess action, but not all of it was just great results, fantastic events and remarkable moves. In the following piece, I will take you through some of the events which in my opinion marked the year in a more negative light. Let me just remind you that, like the highlights, the following 10 points come in no particular order. 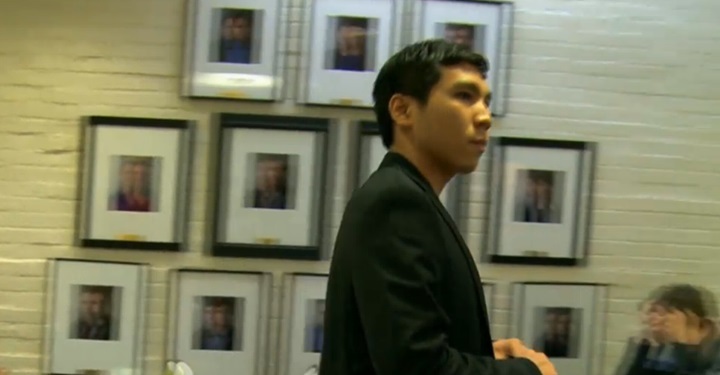 Wesley So being forfeited for taking notes is probably not only the most bizarre event of 2015, but one of the most shocking I have ever witnessed. In the 9th round of the US Championships, Wesley So (who was the number 8 player in the world at the time) was forfeited by the chief arbiter after only 6 moves for writing motivational advice to himself, first on his scoresheet and then on a separate piece of paper. Although the decision to award So a zero might have been justified from a purely legal point of view, it is my personal belief that another, more tactful, solution and/or punishment could have been applied. I guess most of you will be familiar with this video of Magnus Carlsen (published by NRK Sport) showing the World Champion being fairly dissatisfied with his play at the World Blitz Championship, which was held in Berlin in October 2015. And this is putting things mildly. In the infamous video, Magnus is seen throwing pens, swearing out loud and showing his discontent at the public applauding Ivanchuk. In a way I think it is nice and somewhat comforting to see that the World Champion is only human after all, but on the other hand, if all the players behaved in this way when they have a bad tournament what sort of image would they be giving of our sport and what example would they be setting for the young players and fans out there? Of course I realise the video will probably have amused a fair few people too, but I hope it will be the last time we see such an outburst from the world’s leading role-model chess player. On the 25 November, the US Department of the Treasury published a press release entitled ‘Treasury Sanctions Networks Providing Support to the Government of Syria, Including For Facilitating Syrian Government Oil Purchases from ISIL’. An excerpt of the paragraph about Ilyumzhinov reads: ‘Kirsan Ilyuminzhov was designated today for materially assisting and acting for or on behalf of the Government of Syria, Central Bank of Syria, Adib Mayaleh, and Batoul Rida.’ Following this, FIDE released a statement on the 6 December, stating Ilyumzhinov would ‘withdraw from any legal, financial and business operations’. In theory, this means that he remains President, but that FIDE will officially be represented by Georgios Makropoulos while Kirsan ‘concentrates on clearing the situation with the US Department of Treasury’. However, with the 2016 World Championship Match supposed to be taking place in the US, it will be interesting to see how this story develops. As highlighted by the case of Gaioz Nigalidze (and too many others, most notably the infamous Borislav Ivanov), cheating is becoming more and more of a problem in the modern chess world. However, a phenomenon that sadly goes hand in hand with cheating is witch-hunting, where players get wrongfully accused of cheating. There were a couple of such cases in 2015, but the one which got (by far) the most coverage took place at the Women’s European Championship. In Chakvi, Mihaela Sandu was publicly accused of cheating by a group of players after she had a perfect 5/5 start. As someone present on-site and a good friend of Mihaela's I don’t want to get too carried away here, but let’s just say some of the things that transpired in Chakvi were truly despicable. I hope that in the future people will think twice before making unfounded accusations and that measures will be taken to stop players from carelessly accusing one another. Ever since FIDE introduced a K-factor 40 for juniors aged up to 18 and rated below 2300, we have witnessed an incredible number of ratings skyrocketing to incredible heights. While I am all for encouraging junior players’ progress, I think that one could do so with less drastic measures. A player increasing his rating from 1949 to 2517 in the space of only three months is simply nonsense. 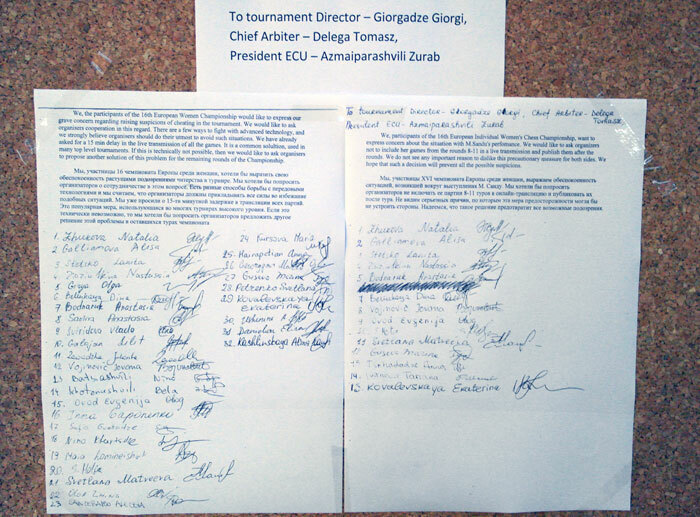 Voices more influential than mine have been complaining about this over the course of the past year and I hope that FIDE will look into this matter in 2016. Russia winning gold at the European Team Chess Championship was mentioned in my highlights of 2015, and it was an even more impressive performance since they finished in sole first place. However, three teams came joint second with 13 points and the one team that eventually missed out on a medal was France. As highlighted by the 4th point of our ETCC review, France were not only seriously unlucky to miss out on a medal, but I witnessed how both Armenia and Hungary were actually surprised to finish ahead of France (who had drawn with Hungary and beaten Armenia). However, I am sure the French team will be back with a vengeance and will once again be fighting for the medal spots at the Baku Olympiad in September. Magnus Carlsen making it to my 2015 review for the 3rd time is a sign of what an eventful year it was for the World Champion. To put it in Magnus’ own words, 'the highs have been pretty high, but the lows lower than usual'. 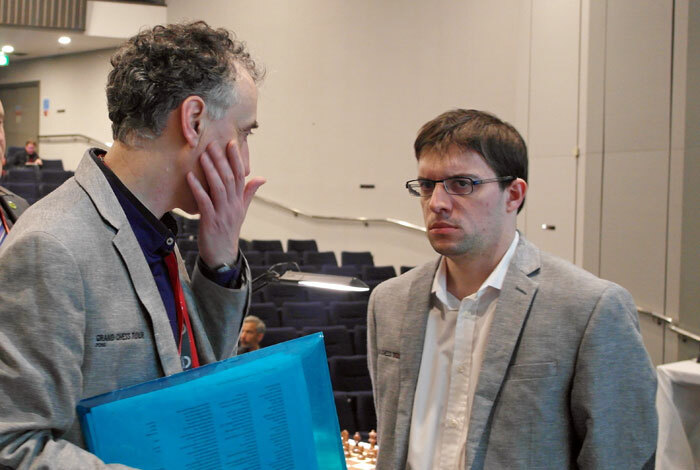 One of those lows came in the form of a loss on time (in a winning position on top of that) against Topalov in the first round of Norway Chess, before eventually finishing in a subpar 5th place on home turf. A lot has been said and written about who this shock loss was to be attributed to, but maybe one of the lessons that needs to be learned from this incident (and something most top players seem to agree on) is that it would be good to stick to one and the same time control for all major tournaments. After benefiting from Magnus’ ignorance of the time control in the first round of Norway Chess, Veselin Topalov went on to crush the field and took clear first place with 6.5/9. He then scored a solid 50% at the Sinquefield Cup, but it was all downhill from there. The Bulgarian had arrived at the London Chess Classic as the leader of the Grand Chess Tour and world number 2 (with a 2803 rating), but a last-place finish with a dismal score of 2.5/9 not only left him in 6th place in the final GCT standings, but also in 9th position in the January 2016 world rankings, with a rating of 2780. However, I am sure Veselin will be back to his best in no time and will continue to spoil us with some fantastic attacking chess in 2016. I mentioned in the first part of this review how the tiebreaks between Svidler and Karjakin had been my personal 2015 highlight in terms of excitement, but the last day play-off at the London Chess Classic came very close. With a couple of rounds to go, few would have predicted a play-off, and even fewer a play-off between three players. However, that is exactly what happened and the players were Carlsen, Giri and Vachier-Lagrave. Seeing as Carlsen had the best tournament tiebreak, he was exempted from the first mini-match, in which MVL overcame Giri after a gripping exchange of blows. Carlsen eventually won the ‘final’ against Vachier-Lagrave and with it both the London Chess Classic and the Grand Chess Tour. 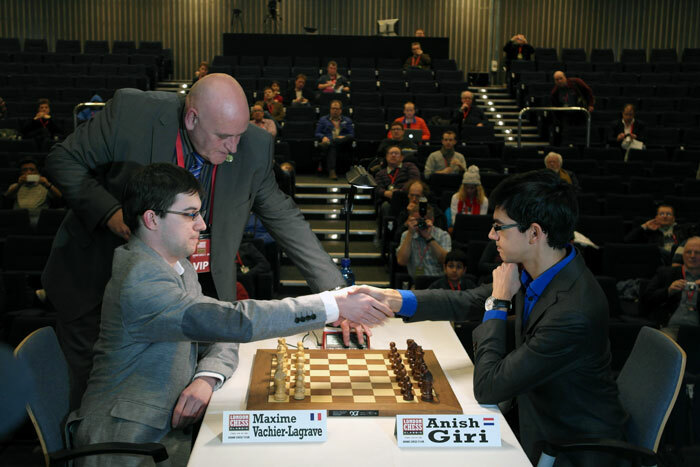 Controversy arose, however, because despite beating Giri, MVL only came third in the tournament standing. As a result of this, he missed out on a qualification spot for the 2016 GCT by the narrowest of margins. 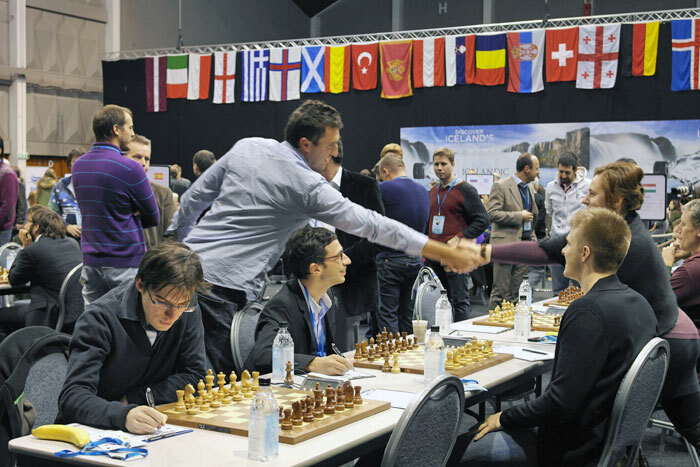 Overall, I would still say that the initial Grand Chess Tour was a big success, and with a few tweaks in the regulations the second edition promises to bring us more world-class chess. In general chess players are happy when our royal game makes it into the mainstream news, but not when it is for all the wrong reasons, which is sadly too often the case. There were four notorious examples of this in 2015, two of which I discussed previously: Nigalidze’s ‘toilet scandal’ and Ilyumzhinov’s alleged Syria links. Another example which most of you will be familiar with is Nigel Short’s piece on women's chess (which was published in New in Chess), which led to titles such as ‘Nigel Short: Girls just don’t have the brains to play chess’ in major newspapers all over the world. Without wanting to enter into the topic in too much detail, I personally didn’t find much wrong with Nigel’s original piece and I tend to think some people made a mountain out of a molehill. Not so, however, with this last newsflash that people in Europe might be less aware of: Brazilian GM André Diamant allegedly paid his 6-year-old son to drink shots of alcohol and subsequently fled the United States, where he was enrolled in a reputed university chess team. So that’s it for my personal chess high- and lowlights of 2015! In 2016 we can look forward to more thrilling events than possibly ever before: in addition to all the traditional supertournaments, there will be the Women’s World Championship Match between Mariya Muzychuk and Hou Yifan, the Candidates Tournament, the Chess Olympiad and, last but not least, the World Championship Match between Magnus Carlsen and his challenger. In the following video Jan and I take a look at the major events of 2016 and make predictions for who the big winners are going to be. I hope you enjoyed the show and let me know in the comments sections below how far you agree or disagree with us (or if you have any thoughts about my 10 lowlights - or highlights - of course). Fiona is currently a contributor for chess24. She started playing chess at age nine, earned the WIM title in 2010 and won a gold medal on board two at the 2006 Olympiad. 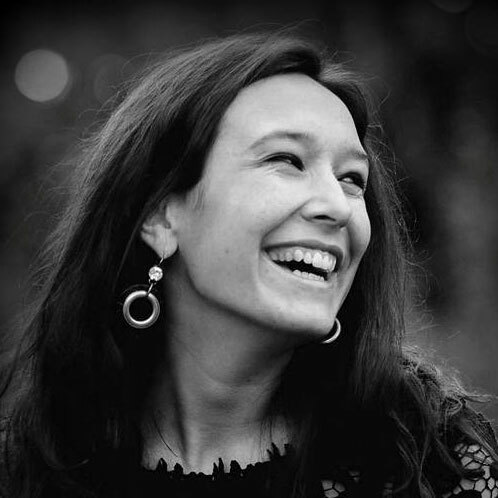 She has worked as a press officer, commentator or interviewer at the Reykjavik Open, the PokerStars Isle of Man International Tournament, the 2015 European Team Chess Championship, the London Chess Classic and the Qatar Masters Open.